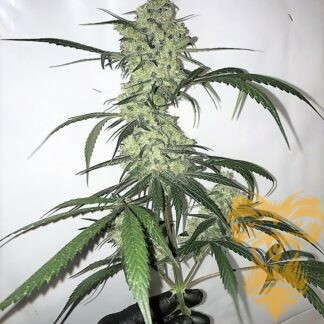 Real Grorill4 , formerly known as Gorilla Glue #4, developed by GG Strains, is a potent hybrid strain that delivers heavy-handed euphoria and relaxation, leaving you feeling “glued” to the couch. 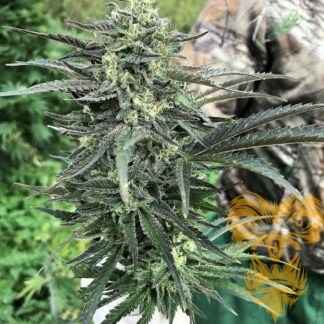 Its chunky, resin-covered buds fill the room with pungent earthy and sour aromas inherited from its parent strains, Chems sister / Sour Dubb, and Chocalate Diesel. Taking first place in both the Michigan and Los Angeles 2014 Cannabis Cups as well as the High Times Jamaican World Cup, this multiple award-winning hybrid’s supremacy is no longer a secret, here at RGSC we have crossed the GG#4 x GG#4 back to itself again using only the best plants standing out of a large selection to bring you the very best of this infamous pungent specimen , make sure your carbons are fresh with this one as she is a stinking crowd pleaser.